The difference this year is that both the Rangers and Orioles had a real incentive to catch the team ahead of them on the final day, in order to avoid that one-game playoff. In previous years, by contrast, the Orioles would not have cared about catching the Yankees in the final two days of the season; they only would have worried about staying ahead of the Rangers, then getting to play in the division series. So, credit where credit is due–baseball made changes that create the right incentives. To relate that to MLS, which has two divisions rather than MLB’s six: The race for third place is important. It’s slightly less important than the race for fifth place (the last playoff spot) and slightly more important than the race for first. But baseball purists, if any remain, would say 10 teams out of 30 are simply too many to take to the playoffs. In MLS, taking 10 out of 19 is surely too many. In baseball, the weakest playoff teams have an 88-74 record. That’s not bad. In MLS, the Vancouver Whitecaps are clinging to the last playoff spot with a mediocre record of 11-12-9. The bloated MLS playoffs are also a scheduling problem. We could be playing another couple of weeks of the regular season this fall, and perhaps that would have left time for a reasonable summer break. The other issue: Incentives. In each sport, the first-place teams don’t get enough of a reward. 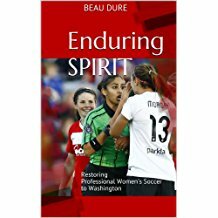 If the East ended today, Sporting Kansas City would play the winner of the wild-card game between D.C. United (51 pts.) and Houston (49). For their effort in finishing first, they avoid a matchup with Chicago (53). So every place has an incentive. Next, we’ll figure out how to make this work with a split season! Unfortunately, it all comes down to money. The more playoff spots, the more teams that are in the playoff hunt, and the longer they stay in the playoff hunt. That means more late season games “matter,” there is higher attendance, higher viewership, and ultimately more money into the coffers of MLB and MLS. The drawbacks have been noted: scheduling issues, uneven playoff format, loss of real home-field advantage for higher seeded teams, etc. First, I think you have to consider the playoffs in the context of the regular season. Yes, baseball has somewhat fewer playoff teams*. But baseball has an excruciating 162-game regular season to get there. 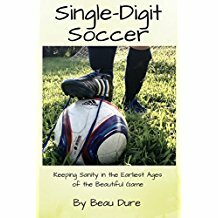 An individual soccer game means more than an individual baseball game by a long shot. MLS has about the same percentage as the NHL or NBA, but has half the games they do. 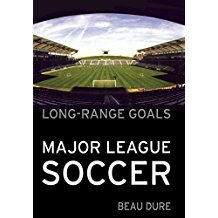 In terms of asking for each regular season game “how does this game affect my team’s shot at a title” only the NFL has it over MLS. Also, Wasserman has a point here–the incentive system, and the ‘importance of the regular season’ doesn’t have a 1:1 correlation with the number of teams. When you add one more team in, but make them play an extra round vs everybody else, and in the process make the previously last-place playoff team play another round too, you’ve increased the importance of the regular season. To me there’s a reasonable reward for coming in not first but ‘as good as you can’–which is that the better you do, the better a shot you’re giving yourself to host the Final. That’s SKC’s real reward for winning the East–not to much a (marginally) easier schedule, but a solid chance (if SJ loses) to host the Cup Final if they make it that far. Lastly. I’m not a huge fan of the home and home, for me they could make it all single-elims at the higher seed, and for me it would then work pretty darned well. But I don’t think that saves a lot of time, and I also don’t expect the league would use that time to add regular season games (which would themselves dilute the regular season) or add a longer break, mostly it would go to fewer midweek games I’d bet, or more rest between playoff games. Personally, I don’t think the Page system does much better for the ‘deserving champion’ part of the equation: wikipedia’s own example has a Quebec team being named champions after beating Ontario by one point. . . having earlier lost to that same Toronto team by more than that. Seems to me that when you run a league that’s under this kind of microscope and subject to this much analytic tinkering, there’d be a lot of hue and cry about how such a team was an undeserving titlist. Basically, I think Page adds more complication than content. Previous Previous post: Cycling vs. Floyd Landis: Can Swiss court really tell him what to say?